50 Ohm Lightning Surge Protector with N-Female connectors. 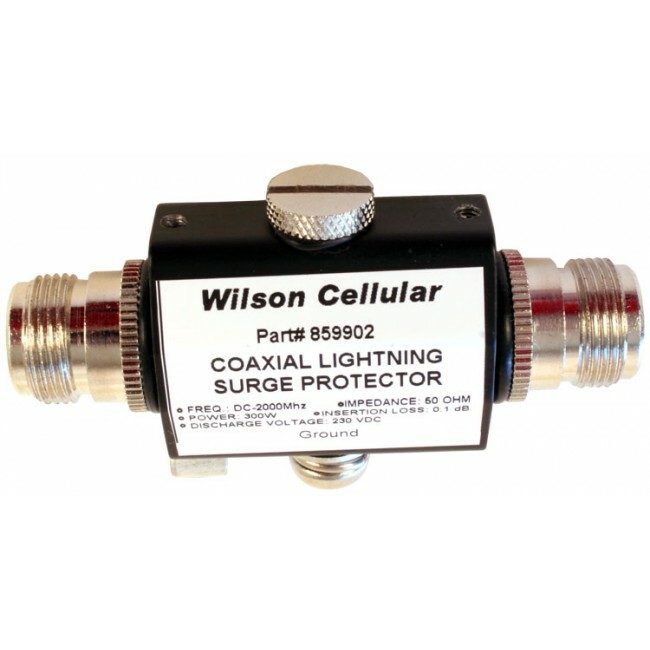 This lighting surge protector can help to prevent damage to your cell phone signal booster system from a lighting strike to the external antenna. The surge protector is installed in-line between the external antenna and the amplifier, but does not connect directly to either, so an additional cable is also required. 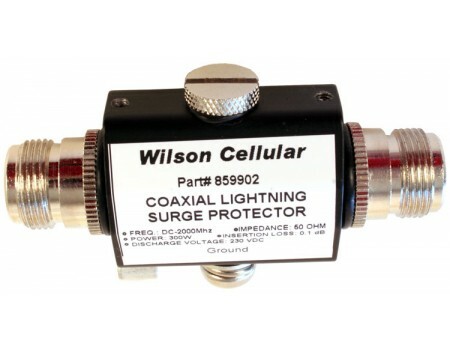 Typically, a short 2' Ultra Low Loss Coax Cable (952302) is used to connect the surge protector to the amplifier although any length of cable may be used. The surge protector has a replaceable gas discharge element which breaks the connection in case of a large power surge. This gas element can be replaced in the event of a surge. To be effective, the surge protector must be grounded. While this surge protector will help against a power surge, including a lightning strike, it does not include a guarantee.